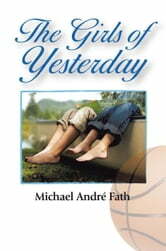 "The Girls of Yesterday" is a testimonial, in general, to womens intuition, strength and intelligence; and, in particular, the Southern coming of age story of a brother and sisters shared and profound love for each other growing up. Jesse, the main character, headed to college in the deeper south to play basketball, feels great separation anxiety from Loretta, his one year younger sibling who all through their life exhibited physical, mental and even spiritual skills beyond the norm. Their love is unique in that Jesse always looks to Loretta for intuitive guidance, while she never fails to acknowledge her older brothers gifted sense of right and wrong. Another important theme in "Girls" is the development of an endearing friendship with Jesse and Jess, a multi-talented young black football sensation, that brings to their relationship his racial perspective of growing up in the rural south, as opposed to Jesses more sheltered childhood, and together they formulate maybe the very best of educations possible; that of two intense souls being truthful while loving each other. These themes play constantly; with laughter, sorrow, horror, tragedy, and romance found in abundance, and infused throughout with this storys main and other very colorful characters, finishing with an integrated and surprise conclusion!